"Oh, just make a Pokemon MMO already and be done with it." Chances are, the primary reason you clicked this review is because of how odd you found the title to be. Bear with me, we'll get there. I'm not going to sit here and tell you I didn't enjoy Pokemon Black. I did. It was pleasant. It was enjoyable. It was the most fun I've had with a Pokemon game since the first generation, and I'll readily admit that my enjoyment of the first generation may be clouded by nostalgia goggles. Pokemon Black really was the most fun Pokemon game I've played in years. However, my low rating comes from the fact that I can't shake the feeling that I wasn't having fun playing Pokemon Black, but rather I was having fun in spite of Pokemon Black. It felt like I was deriving enjoyment from things that were far, far outside of the way the game was begging me to play it. I felt like a four-year-old whose father was trying to show me all the gadgets and gizmos behind my new toy while I was perfectly content to just play with the box. The reason for this is simple. Pokemon Black tries its darnedest, its hardest, to be a social game. It places such an enormous focus on the social aspects of gameplay that it's impossible to play without being distracted by them. Gone are the days when there was an area of the Pokemon Center that handled trades and battles with out individuals; now, the entire game tries to consistently keep you aware of friends' activities. The game even devotes one entire screen of the DS to its networking capabilities, and there's no way to change that -- even if you've never used the game's networking, the bottom screen still stubbornly demands to be used for the game's "C-Gear" rather than allowing the user to permanently turn it into a menu screen, ItemFinder, or whatever else. This is coupled with countless (literally, I lost count) of different multiplayer gameplay modes, each fairly complicated to understand and start up. Pokemon Black throws its social side down the player's throats whether the player likes it or not. And to be honest, that, on its own, is not an inherently bad thing. Social games are the current trend. People want to connect with other real people. MMOs are more popular now than they've ever been. So you'd think that Pokemon Black's focus on this would be a good thing. But here's the problem: Pokemon Black isn't created to be a social game. It's a regular, single-player game with a multiplayer game thrust on top of it in such an over-burdensome and distracting way that the single-player game is lost, but yet because the multiplayer game is built atop this single-player game, the multiplayer game is too convoluted and complicated to be engaging. All this word vomit is to say a simple idea: Game Freak, if you want to make a social Pokemon game, make one. But don't just create another cookie-cutter instantiation of the same old concepts and ideas, then pour a healthy dose of multiplayer options on top. Build a multiplayer game, don't build a single-player game and make it multiplayer after the fact. In order to better illustrate this point, I'm going to talk about three specific places it arises: the game's increased plot focus, the game's multiplayer focus, and the reason why this tension exists here where it does not elsewhere. At first, I was very excited about Pokemon Black's increased plot focus. While at its most fundamental level, the plot remains the same -- evil team trying to take over/destroy/permanently alter the world -- Pokemon Black at least devotes more time to elaborating a more complex scheme, providing a bit more character development, and actually finding time for some unexpected plot twists that even alter the classic Pokemon formula. The opening cutscene definitely gives the game a more plot-oriented feel, and throughout your journey, they game actually feels a bit more like an actual RPG. By RPG standards the plot is extremely shallow, but at least it's a step in the right direction. As soon as they master the art of, "Don't tell the player the entire plot halfway through the game", they'll have it made. But here's the problem. Pokemon games, more than any other game series I've played, attempt to create a real, vibrant world in which a storyline takes place. Most games craft a storyline and create a world around it, but the essence of the Pokemon series it that you're supposed to believe that this world really, legitimately exists, and that you're just a participant in it. But the plot that the game sends the player through betrays this world, and results in the need for a suspension of disbelief that is so high that it's nearly impossible to get past it, killing the game's immersion. I don't want to spoil anything specific to Pokemon Black, so I'll speak generally: every Pokemon game has some enormous legendary Pokemon to catch. Yet we're really supposed to believe our player is sending out 10-foot-tall dragons to squash Caterpies? And that somehow a 20-foot-tall stone snake is able to battle in the ocean? Now, I understand those things are nitpicky, but they're more representations of the underlying issue at play. In most plot-based games, when you reach a certain level of competency, it comes with a certain stage of progression through the world you reside in. Of course it makes sense that your characters are completely overpowered, they've reached some legendary location or distant city or something. But because Pokemon also attempts to contextualize its story within a very vibrant world, that plot loses a lot of its luster. It just doesn't make sense that the player can conquer the gyms, become the best trainer in the world, and yet still go unrecognized by the general populous. The game creates a plot for the player and a world for the player, but the plot and the world themselves do not interact. All these issues come into play even before considering my main complaint about what makes the plot lose its logic: the multiplayer aspect. Like most recently Pokemon games, Pokemon Black & White come with version-specific exclusive legendary Pokemon. I hop online and trade with my friends for three copies of a legendary one-of-a-king Pokemon and bring them into battle with that legendary Pokemon in my own game. What? How does that even make sense? Now, don't get me wrong -- I'm not saying the ability to trade is bad. What I'm saying is that the trading facilities introduce circumstances that make absolutely no sense in the context of the game itself. That destroys a lot of the immersion of the game, and becomes especially notable at a time when the game is attempting to elevate its plot. The multiple versions of the game also sabotage the plot in a different way. Again, I don't want to spoil anything, but as with Pokemon Ruby, Sapphire & Emerald, Pokemon Black & White retain slightly significant differences in their plot. The overall journey is the same, but there are some important details that have changed. When you play a game with a story, you expect there to be some underlying "canon" to the story -- even though your individual experience may differ, there is a "canon" ending to the story. But in Pokemon Black & White, what's the canon story? What really happened? They tell different and mutually exclusive stories -- which one are we supposed to believe? While the plot focus comes across as positive, elements like this betray it. If this were simply the story of a trainer conquering eight gyms and the Elite 4, there would be no need for canon. But so long as their is a game-defined plot involved, the question remains unanswered. Overall, to summarize my potentially incoherent and rambling complaints here, Pokemon Black attempts to put an increased focus on the game's plot. However, various elements of the game make that plot completely nonsensical. You can trade for legendary Pokemon that serve critical plot roles long before they come up in the plot. There are multiple and mutually exclusive stories to be seen. You're capable of, and even encouraged to, do things that are so outside the realm of plausibility that they destroy any immersive value the game had. Overall, Pokemon Black misses the point when it comes to the plot: plots are meant to tell cohesive, logical, immersive stories. This one doesn't. Let me start by defining the term 'Extra-Game' since it's something I completely made up. 'Extra-Game' means activities that take place in the context of more than just your cartridge and your DS. Just like 'extraterrestrial' means 'apart from earth', 'extra-game' means 'apart from the single-player game'. The most prominent example of this is multiplayer: to play against or trade with other people, you have to go beyond your individual DS and cartridge and connect with others. I use the term 'extra-game' instead of 'multiplayer', though, because 'extra-game' encompasses a lot more types of activities. I'll start with some examples of those. 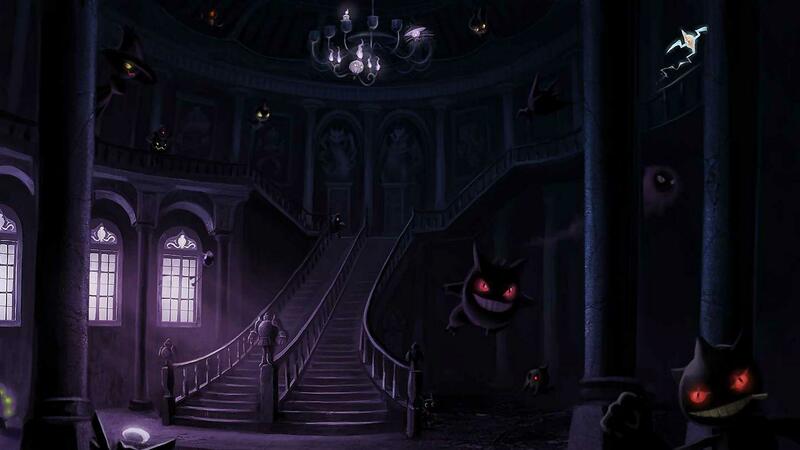 Since the early days of Pokemon, there have been Pokemon that could only be obtained through secret events. Mew, initially, and then Celebi. Those were annoying, but acceptable: there was still a strong main game and collection of Pokemon, making these rare instances of unobtainable Pokemon outliers. However, around the time of the third generation, Game Freak apparently developed a bizarre obsession with these things, and ever since, there have been a substantial number of Pokemon that simply cannot be obtained solely within the game itself. They require the player to participate in some event. I may be speaking solely for myself here, but this destroys one of the things that made Pokemon fun in the beginning: catching them all. There's no reason to even bother anymore because chances are, you've already missed the giveaways you'd need to participate in to get these Pokemon. If the game is trying to create a logical world for the player to play in, how in the world does having to transport Pokemon from seemingly another dimension via mystic items that magically appeared in your bag make any sense? It's more than just an impact on the plot, though. It destroys the fun of the game. Take one of the first Pokemon revealed in Pokemon Black & White, Zoroark. Did you know there is no legitimate way to obtain Zoroark without participating in events that are no longer offered (and that were barely accessible in the first place)? Unless you hack it into your game, you can't get one. That begs the question for me: what the hell is the point of revealing it?! This is like World of Warcraft revealing an instance that players can't play. There's no point in it. It's just incredibly dumb, and serves as a huge annoyance to anyone who might have otherwise tried to achieve the game's ultimate accomplishment. Moving on from the game's annoying reliance on promotions from outside the game, there's the multiplayer aspect. Now, I have no problem with multiplayer games -- I quite enjoy them. I also have absolutely no problem with multiplayer games that are included with single-player games. But here's the difference: in almost every game I've ever played, the single and multiplayer facets are very separate. When you play Halo, you either play the missions or you play multiplayer online. The two don't mix. With games with a co-op option, you still get to choose whether you want to play co-op or single-player. Multiplayer doesn't get in the way of single player. That's not the case in Pokemon Black. The multiplayer facilities are so annoyingly prevalent that the user cannot help but feel like they're supposed to be playing on multiplayer. As mentioned before, part of this is because for the majority of the game, one entire screen of the Nintendo DS is devoted to the multiplayer networking tool, dubbed "C-Gear". It sits on the bottom screen, even when it's been turned off. If you bring up the ItemFinder, which also works on the bottom screen, it goes over the C-Gear. Then, if you want to get to the menu screen, you have to exit out of the ItemFinder to get back to the C-Gear, and then bring up the menu screen. I can't imagine anyone using the C-Gear as much as they use the ItemFinder or the game's basic menus, so why doesn't the player have a choice as to whether the C-Gear is always up in their face? Now again, don't get me wrong. That's not a bad thing. Multiplayer games are great. But if you're going to make it a multiplayer game, make it a multiplayer game! Don't make it a single-player game that keeps nagging you to go play online. Either make it a full multiplayer game, or let there be a suitable dividing line between multiplayer and single-player. This helps both sides: if you make it a full multiplayer game, how to participate in multiplayer becomes much more apparent. If you segment the two off better, it becomes clearer when the player has entered 'multiplayer' mode. But by trying to merge them together in a Frankensteinian amalgam of plot narrative and inter-dimensional transportation, both become more complicated. I have to stare at or navigate around the multiplayer crap when I'm trying to navigate through a cave, but then when I actually want to participate in multiplayer, I have to go to some specific place in the single player game. What? How does that make sense? Did I have to fly to a particular planet in Star Fox 64 in order to allow my friends to player? Of course not -- so why do I have to do so here? This becomes yet even more annoying when there are multiplayer activities required to fully experience the single player game. How in the hell does that make any sense? Did I have to play a certain number of multiplayer Halo matches in order to unlock better single-player guns? Of course not -- so why do I have to use the multiplayer facilities to fully experience the single-player Pokemon game? The idea of trading Pokemon to get them to evolve has always grated on me a little bit, but I let that slide. But in Pokemon Black, there is a city where, unless you beat the game under specific conditions, you basically cannot access unless you connect to multiplayer. There's nothing there. It's empty. And yet, this city was the main reason I chose Pokemon Black over Pokemon White. But because I don't know anyone else who players Pokemon (yes, that's right boys and girls, this requires someone actually physically near you, not over Wi-Fi, to unlock), I miss out on a portion of the game content. Who the hell decided that was a good idea? And on top of all that, the multiplayer interface itself is absolutely terrible. For a game that focuses so much on social connection, you would think there would be a somewhat easy interface to use to engage with others. No. There's still the oddly differentiated Pokemon Center rooms, different types of trading and battling, the annoying Friend Code system, and even numerous new multiplayer modes, few of which make sense solely based on the in-game and in-manual tutorials. In good multiplayer games, I effectively say, "I want to play multiplayer!" and boom, I'm battling 12-year-olds from Ohio. Here, there's such a ridiculous series of loops to jump through that I can't imagine why any newcomer would even want to learn. In the first two hours of the game, you're introduced to the C-Gear, the Entralink, the Pal Pad, the Xtrareceiver, the Relocator, and several other multiplayer devices without the game even asking if you care about this. In the old Pokemon games, if I didn't want to play multiplayer, I didn't go to the second floor of the Pokemon Center: problem solved. And even if you're able to get past all that, you still have to deal with the extremely pretentious online community Pokemon has developed. Wait, you're asking a question about an in-game trainer? Get out, noob. But the thing that I find most irritating about this entire problem isn't the problem itself: it's how much potential is out there that isn't being realized. One of the objectives of the Pokemon franchise is to create a realistic and full game world in which the plot ought to take place. It tries to give the impression to the player that there is a pre-existing framework of gyms, gym leaders, the Elite Four, and the overall Pokemon culture, and that the player is just joining into it. Rather than just playing through a storyline, Pokemon attempts to make the player feel like they're entering into a broader, and fairly static, world. Aside from the obligatory Team trying to take over/destroy the world, it never seems like there are any ongoing major world developments. The world is simply just static. That type of static, well-structured world is exactly the type of game background that lends itself fully to an MMO. One element that always has annoyed me about World of Warcraft is that the previous games in the franchise painted a rich historical narrative, but in order for World of Warcraft to be playable, it has to focus on the status quo. There can't be an ongoing narrative anymore because those that would write that narrative are now actually players in the game. It becomes a static world. The Pokemon world, however, lends itself perfectly to this type of game. It bills itself from the outset as a static world in which your own adventure unfolds. In an online game, it has the opportunity to really actually create a large, full-scale world in which your adventure really can unfold. It can create the social structure and journeys that players ought to have to engage in. Instead of attempting to simulate a broader world, it can actually provide a broader world. And this quite directly addresses my main criticism of Pokemon Black as well. The game over-focuses on the multiplayer on top of the single-player game, so why don't they just make it a multiplayer game from the outset? As it is, Game Freak appears to consistently nudge Pokemon Black more and more in the direction of being an MMO by making the multiplayer elements more and more pervasive, but until they move all-in with this direction, the game is going to continue to have this obnoxiously split identity that sabotages both sides of it. Admittedly this hasn't been your standard review. If viewed solely for its own merits, Pokemon Black is certainly an improvement on its predecessors. Game Freak is finally getting up to speed with the graphics (although I still think they could have done better), and the camera angles are quite nice a lot of the time. Minor tweaks in the game have substantially increased its appeal as well; frequent healers make dungeon crawling less aggravating, and many of the cities feel legitimately large (although the juxtaposition of huge cities of supposedly thousands of individuals next to tiny ones of only a dozen is similarly unrealistic). But it's become very hard to analyze Pokemon games solely for their own merits. Game Freak found a formula for a game that will sell, and they keep releasing new versions of it. They're not branching out, they're not taking risks, and they're not moving the franchise toward its full potential. And unfortunately, so long as games like Pokemon Black -- which, while fun, don't really give us anything we haven't seen before -- continue to sell, there's little chance we'll see any major progress in the franchise in the near future.